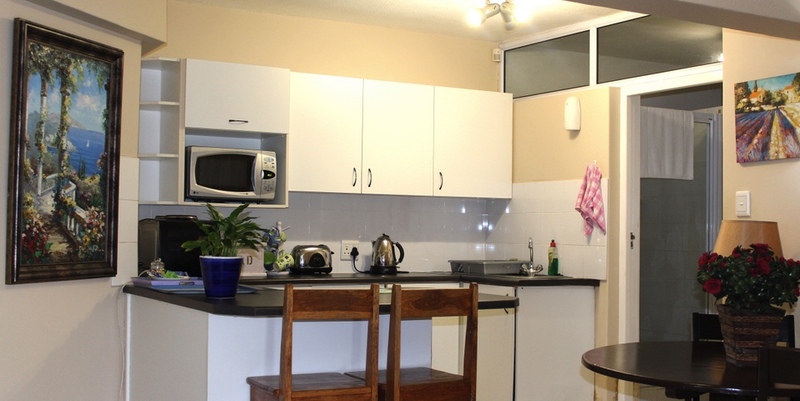 Our self catering unit has a private kitchenette and lounge. The bedroom is furnished with a queen bed. 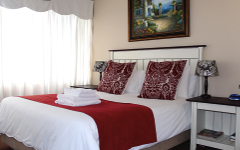 There is an optional inter-leading room to the lounge area should two bedrooms be required for this facility. 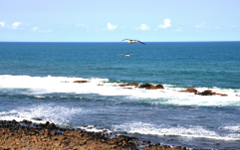 A viewing deck and braai area overlooking the Indian ocean provides the ultimate enhancement to this stunning facility.